By: Zine Larbaoui, TLB Staff. The Galileo syndrome in our time. 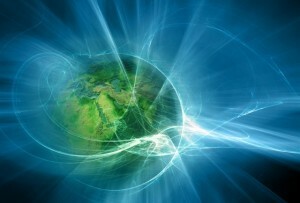 “There is no energy crisis, but simply a crisis of Ignorance” B.Fuller. 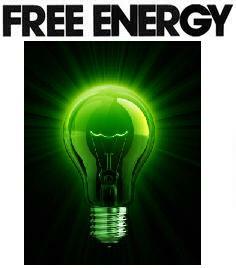 Imagine free energy, unlimited, clean, inexpensive and available for all!!! Nuclear power plants, gas and oil wells, coal mines … would all have to be retired forever. An unusual type of energy makes it all possible. It does not come from the sun, wind, rain or tides, it is not a fossil or nuclear fuel taken from the ground or engineered by chemical synthesis. “In a few generations, our machinery will be driven by energy obtained anywhere in the world … It is a simple matter of time and men will manage to connect their machines to the wheels of Nature.�?- Nikola Tesla. Free energy or energy from the ether. Research shows that this energy source can be partially converted into usable energy. This would be unlimited and non-polluting, and like the wind and the sun, its use is free. Imagine this breakthrough exists for the past 20 years: have you ever heard of it? No, because on the contrary everything has been done to bury the issue. There are many independent inventors who built free energy machines whose results were published in the open and checked, but as the scientific community does not understand the theoretical principles underlying these inventions, it simply ignores its existence. So all is well. Given that ordinary people would say, if it existed, we would have heard of it. Then you could ask the question: who would have told you? So here it is: These free energy machines are certainly tangible evidence of the existence of a form of energy totally ignored by the world of science. These are machines that convert some form of energy that is not recognized by modern science, into tangible mechanical energy. These machines produce more energy than they consume. No offense to some physicists, this does not violate the sacrosanct principle of conservation of energy because these machines do not create something that did not exist before, but it turns something that we do not know how to detect into something usable. 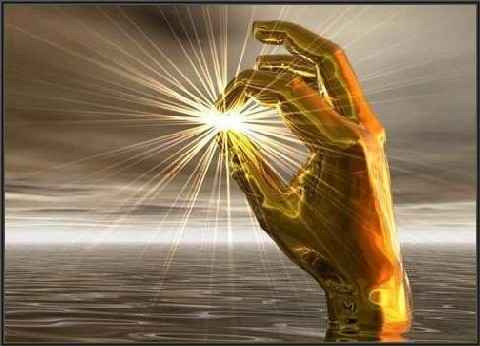 Quantum physics has shown us that many physical laws that seem fixed and inflexible are actually being violated. For example, we discovered that the universe is made up of several dimensions, matter particles exist simultaneously in several places in the universe and it is possible to teleport matter through matter or information through the universe instantly … So the void in the universe is filled with astronomical quantum energy and all this information only give credit to the free energy machines and their actual existence. If we can, by slightly polarizing the vacuum phenomena (though still poorly explained but based on electromagnetism), recover some of this energy, the machines that are injected in, provide more energy than they consume, they merely “pump” energy where it is … and it is Nature, everywhere, that feeds the vacuum energy. 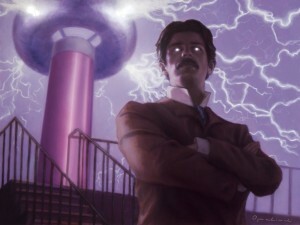 Since Nikola Tesla’s time, the public generally had difficulty accessing information on these energy transformations. But gradually these devices using matter for energy are now accepted in patent applications, and are far from being considered impossible to achieve by the energy cartels that in turn, take very seriously the difficult task of misinforming the public about that …also, these findings can only be done with the collapse of the laws of physics as we know them for the past three centuries. The planet is in a real energy impasse as oil reserves diminish rapidly and powerful nations resort to wars in order to secure what’s left in the reservoirs. The Oil crisis leaves little hope for humanity given the thousands of nuclear warheads that may inevitably be used amid probable escalation of conflicts. We have no other hope for the survival of humanity than to develop new technologies for producing free energy in order to resolve this impasse, which is also an ecological emergency, because the burning of fossil oil reserves , coal and gas, inexorably pollute the planet to a point of no return. But the combined energy cartels greed and scientific skepticism account for harassment claims by the inventors community: corruption, patent repurchasing and threats up to the disappearance or death of inventors, in troubling circumstances, makes it very difficult for free energy devices to garner the attention of the general public or to be evaluated for commercial production and distribution. But a long line of inventors appeared to offer such machines, “overunity�? performance. The word “overunity�? refers to a system whose energy level increases, without any defined external source, an idea that science rejects for over a century at least. The main stumbling blocks were the rigid scientific thoughts concerning the violation of energy conservation laws, and powerful oil interests opposing the idea of free energy. These barriers seriously hinder the new technology to be studied. Nevertheless, a long succession of free energy engines have been developed, and these facts should be released because of their importance and their multiple consequences. If we listen to the official thinking (relayed by the mass media), with regard to wind, solar, geothermal, hydro and biofuels, we almost made the rounds of potentially existing solutions termed as alternative energy. But we have to realize that these solutions have their limits. It will be very difficult if not impossible to replace oil and nuclear power with them. Isn’t it time to offer our civilization the opportunity to use a new natural and inexhaustible source of energy, without harmful effects on the environment? Submitted by: Ken LaRive, TLB Contributor. For years House Majority Leader Nancy Pelosi has been under fire from the Catholic Church for her many and constant promotions of abortion. She has been repeatedly asked to reconsider her participation in government-sponsored abortion-on-demand, and this week The Church again made it public. In an interview with the Western Center for Journalism, Cardinal Raymond Leo Burk was quoted to say that Mrs. Pelosi should be denied Communion until she changes her advocacy views on abortion, and has no Catholic right to be granted Communion. Cardinal Burk is the leading cardinal of the highest Vatican court. According to Canon law 915, professed Catholics who are stubbornly contrary to the doctrines of the Church have “in manifest, (committed a) grave sin (and) are not to be admitted to Holy Communion.�? 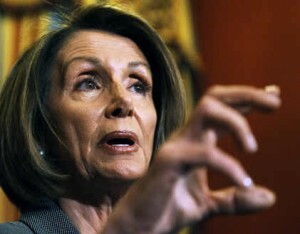 Cardinal Burke states that Mrs. Pelosi fits that definition perfectly. “This is a person who obstinately, after repeated admonitions, persists in a grave sin — cooperating with the crime of procured abortion — and still professes to be a devout Catholic.�? “This is a prime example of what Blessed John Paul II referred to as the situation of Catholics who have divorced their faith from their public life and therefore are not serving their brothers and sisters in the way that they must — in safeguarding and promoting the life of the innocent and defenseless unborn, in safeguarding and promoting the integrity of marriage and the family,�? he said. 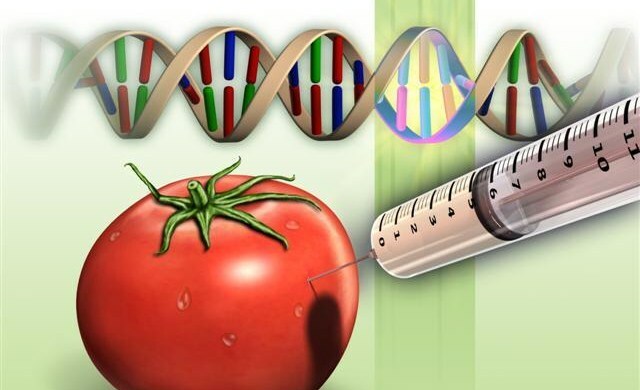 Genetically Modified Organisms or GMOs, are any living thing that has had its genetic material altered in some way through human scientific interference. This does not refer to “selective breeding,�? such as when certain crops are selectively bred by gardeners over time to withstand heat, for instance, or the process by which different dog breeds were developed over time. Instead, GMOs undergo a form of gene therapy under lab conditions whereby segments of DNA are spliced, rearranged or removed altogether. You may have been eating genetically modified food for years and not even know it. Perhaps the number one health concern over GM technology is its capacity to create new allergens in our food supply. Allergic reactions typically are brought on by proteins. Nearly every transfer of genetic material from one host into a new one results in the creation of novel proteins. Genetic engineering can increase the levels of a naturally occurring allergen already present in a food or insert allergenic properties into a food that did not previously contain them. It can also result in brand new allergens we’ve never before known. Genetic engineers rely heavily on antibiotics to guide experiments. It works like this: Not all host cells will take up foreign genes, so engineers attach a trait for a particular type of antibiotic resistance to the gene they introduce into host cells. After they’ve introduced the gene into the cells, they douse all the cells with the antibiotic to see which ones survive. The surviving cells are antibiotic-resistant, and therefore engineers know they have taken up the foreign gene. Overuse of antibiotics can potentially cause the development of antibiotic-resistant pathogens. Several health organizations, including the World Health Organization and the American Medical Association, have spoken out about the need for the use of these antibiotics to be phased out of the process of making GM foods. Food Patriot Sam Spitz’ harrowing story provides a scary, precautionary warning of how antibiotic-resistant “superbugs�? can affect your health. The majority of GM crops in cultivation are engineered to contain a gene for pesticide resistance. Most are “Roundup Ready,�? meaning they can be sprayed with Monsanto’s glyphosate herbicide Roundup without being harmed. The idea is that if the crop itself is immune to Roundup, you can spray it to kill any weeds endangering the plant without worrying about harming your crop. Sound like a good thing? Only if increased human exposure to pesticides is a good thing. Glyphosate has been linked to numerous health problems in animal studies, among them birth defects, reproductive damage, cancer and endocrine disruption. Foreign genetic material in a host can cause other genetic material in that host to behave erratically. Genes can be suppressed or overexpressed, causing a wide variety of results. One consequence of overexpression, for example, can be cancer. Nutritional problems can also result from the transfer. In one example, cows that ate Roundup Ready soybeans produced milk with more fat in it. In another example, milk from cows injected with a genetically engineered growth hormone was found by a number of researchers, including those published in the journal Lancet, to have substantially higher levels of a compound known as insulin-like growth factor-1, which is linked to human breast, colon and prostate cancers. The milk also has higher levels of bovine growth hormones in it, along with pus and sometimes antibiotics. GM crops have been linked to health problems as diverse as reproductive damage, cancer, Alzheimer’s disease and diabetes. Concerned scientists have been outspoken about these risks. DNA is complex, and we have yet to understand all the potential complex interactions. The potential hazards are difficult to predict and identify immediately. Additionally, the United States regulatory system is set up to deal with problems occurring with GM foods only after they occur. But what if, instead, we invoked the precautionary principle, an international agreement that calls for intelligent caution when it comes to new science and technologies? Thankfully, you can protect yourself and your family by taking action against GMO foods. Choose organic foods wherever possible (this app can help you determine which foods to avoid), support farms that refuse to grow GMO foods, and pressure your lawmakers to force agriculture companies to label GMOs. The right to know is one we must be outspoken to protect. Which Companies Support GMO Labeling? TLB Highly recommends you visit: www.care2.com for more great articles and information. By: Dave Hodges, TLB Contributor. Along these lines, there is presently a three pronged globalist plot designed to subjugate the people of this country. These three elements include (1) controlling the nations water supplies by creating massive debt forcing governments to relinquish control over its water supplies; (2) private individuals and corporations are acquiring and hording massive amounts of water; and, (3) the Environmental Protection Agency is presently engaged in activities, on behalf of the UN’s Agenda 21 policies, to use the control of water to also control food production and eliminate private property ownership. If a totalitarian government desired to control the people of the United States, garrisoning the country with an army of occupation would be extremely difficult, if not impossible. The United States has 315 million people which own 300+ million plus handguns and the country occupies a good portion of a continent. These are daunting challenges to occupying the United States. Controlling America by controlling essential resources. 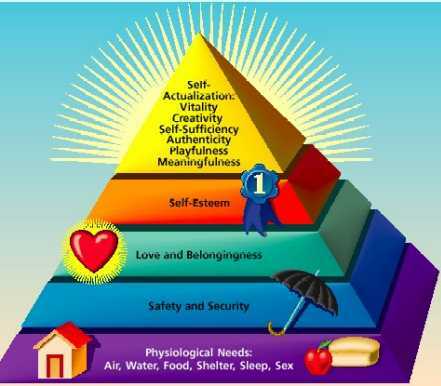 To control a population such as the United States, one would have to control what Abraham Maslow called the essential elements for survival, namely, food, water and shelter. How best to control food, water and shelter than to reduce the diversification of ownership over these resources and history has produced an effective model to describe how to effectively control these essential elements of survival. Both history and current events demonstrate that the more debt a country acquires, the more at risk that country is to losing control over its infrastructure and in particular, its water supplies to private interests. 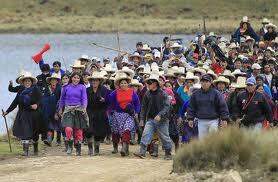 The World Bank and Bechtel’s control of Bolivian water led to massive civil disobedience and violence. Bolivia, in 2000, is the poster child for what happens to a country when it borrows money to fix its water issues. The Bolivian case in point is exemplified by the fact that the country borrowed money from the predatory World Bank in order to fix its water issues. The World Bank brought in Bechtel Corporation to fix Bolivia’s water issues, however, Bolivia predictably defaulted on its World Bank loan obligations and their water supplies went into receivership as prices skyrocketed by 400%. 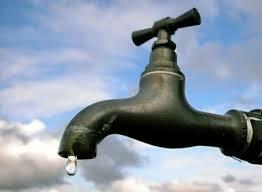 Further the Bolivians lost the right to trap rainwater and reuse irrigation water. 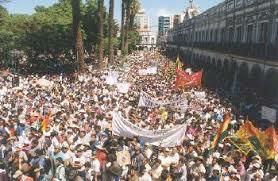 Massive protests were held in Peru over the privatization of its water supplies by the UN and its corporate minions. How long will it be until the globalists have to bail out the American economy while we continue on our trek towards unsustainable debt? When America’s economy falters, the bankers, armed with their central bank printing presses, will come to the rescue. The price for their intervention, judging by what happened in Bolivia, will be total control over our infrastructure. 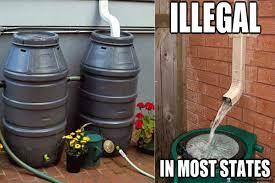 Collecting rainwater and purifying stream water to drink, have already become illegal acts. All water will be obtained through the public private partnership corporations and you can bet, as history has set the precedent, the price of water will get very expensive. Illegal to conserve. What ever happened to Agenda 21′s conservation movement? States like Colorado, Utah and Washington have already made it illegal to trap rain water and use these resources for such purposes as drinking and irrigation. In Douglas County, Colorado, just south of metropolitan Denver, engineers conducted a study on how rainwater collection affects aquifer function and health as well as groundwater supplies. The study revealed that when private parties collect rainwater on their properties, this serves to reduce the demand on local water facilities and improves conservation efforts. Based upon this research, trapping rainwater should be encouraged. However, conservation is not the goal of modern day water management, political and personal control of the citizenry is the final objective. The Bolivian water experience is already underway in the United States. Did we really think that this was only going to happen in Bolivia? Similar projects are underway in Manila, Pakistan and San Francisco. Yes, this is correct; Bechtel now has a contract with San Francisco’s city government to upgrade the city’s water system. Bechtel employees are working side by side with city workers in a privatization move that people-in-the-know fear will lead to an eventual take-over of San Francisco ’s water system and create a fiasco similar to the one in Bolivia. The wolf is at the door as massive debt will soon cause the US to lose control over our water. This is all part of an Agenda 21 plot to control the water of the United States in order to subjugate the people and to make a lot of money in the process. How interconnected are the global corporations to the United States Government, the United Nations and Agenda 21? Before the cries which will challenge me to don my tin foil hat before writing about a water conspiracy, I would ask that you please first consider the following list of Bechtel employees who have moved into major policy making positions both in the United States Government and the United Nations. 2.George Schultz. Shortly after assuming his new position in Bechtel, President Reagan recruited Schultz to Washington to serve as Secretary of State. 3.Reagan’s Secretary of Defense Caspar Weinburger was a former Bechtel general counsel. 4.W. K. Davis was a Bechtel vice-president for nuclear development before he was appointed as Reagan’s Deputy Secretary of Energy and administrative head of the Atomic Energy Commission. 5.William Casey a former Bechtel consultant served in a number of government positions including chairman of the SEC under Nixon, head of the Export-Import bank under President Ford, and director of the CIA under Reagan. 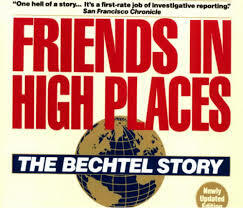 6.Richard Helm, who later became a ‘consultant’ to Bechtel, had earlier been a CIA director under Nixon. 7.William Simon, Nixon’s Treasury secretary, was hired by Bechtel as a consultant. 8.Ross Connelly, CEO of Bechtel Energy Resources Corporation (retired), was appointed by George W. Bush (41) in June of 2001 to the Overseas Private Investment Corporation (OPIC). The OPIC has strong connections to the United Nations privatization projects. 9.Stew Burkhammer, a current Bechtel executive, is presently a member of the Occupational Safety and Health Administration’s (OSHA) Advisory Committee on Construction Safety and Health. 10.Marie-Françoise of Bechtel (France), Conseiller d’Etat, From 1979 to 1980, she was Consultant of the United Nations Asian and Pacific Development Center. TLB Highly recommends you visit Dave at: www.thecommonsenseshow.com for more great commentary and information. TLB: The two included links below are the subject matter contained in the radio show. Please open the appropriate link and follow along as the show progresses. Australia’s Commonwealth Scientific and Industrial Research Organization (CSIRO) has developed a type of genetically modified (GM) wheat that may silence human genes, leading to disastrous health consequences. Last year, University of Canterbury Professor Jack Heinemann released results from genetic research he conducted on the wheat, which showed with “no doubt�? that molecules created in the wheat, which are intended to silence wheat genes to change its carbohydrate content, may match human genes and potentially silence them. “If this silences the same gene in us that it silences in the wheat — well, children who are born with this enzyme not working tend to die by the age of about five.�? Heinemann reported that his research revealed over 770 pages of potential matches between two GM genes in the wheat and the human genome. Over a dozen matches were “extensive and identical and sufficient to cause silencing in experimental systems,�? he said. “Researchers have been using this phenomena to their advantage in the form of small, engineered RNA strands that are virtually identical to miRNA. In a technique called RNA interference, or RNA knockdown, these small bits of RNA are used to turn off, or ‘knock down,’ certain genes. A daunting outcome is raised, that each [dsRNA] formulation might have its own risks.…Production of intended dsRNA molecules may also have off-target effects due to silencing genes other than those intended. Unanticipated off-target adverse effects can be difficult to detect and they are not possible to reliably predict using bioinformatics techniques. Regulatory bodies are not adequately assessing the risks of dsRNA-producing GM products. As a result, we recommend a process to properly assess the safety of dsRNA-producing GM organisms before they are released or commercialized.�? One type of dsRNA is microRNA (miRNA). MicroRNA are basically small pieces of RNA that interact with your genes, essentially stopping certain genes from being expressed. MiRNA exists in human body fluid naturally; however, microRNA also exists in plants, and research has shown that eating the wrong plants may transfer this plant miRNA to humans — with potentially devastating implications. At present, you can’t know for sure, since GM foods are not labeled in the US. But chances are, if you eat processed foods, your diet is chock full of GM ingredients you didn’t even know about – causing equally unknown consequences to your health. TLB Highly recommends you visit Dr. Mercola at: http://www.mercola.com/ for more great articles and information. America is still first at a few important things, like our Budget deficit, and our Military on steroids, but concerning Dementia and Autism, out of 192 countries we are #1. Autism is past epidemic level with one in fifty or less (some say as low as 1 in 28 in boys) being diagnosed with this scourge. With these numbers you are talking close to seven million inflicted Americans. The drain on the families emotions and assets, the social programs all overloaded and cutting back, and a government turning a blind eye, is egregious. The Center for Disease Control (CDC) defines Autism in this fashion: Autism spectrum disorders (ASDs) are a group of developmental disabilities characterized by impairments in social interaction and communication and by restricted, repetitive, and stereotyped patterns of behavior. Symptoms typically are apparent before age 3 years. The complex nature of these disorders, coupled with a lack of biologic markers for diagnosis and changes in clinical definitions over time, creates challenges in monitoring the prevalence of ASDs. There is so much research and real world observations linking vaccines to autism that to rehash even the best, is old news. 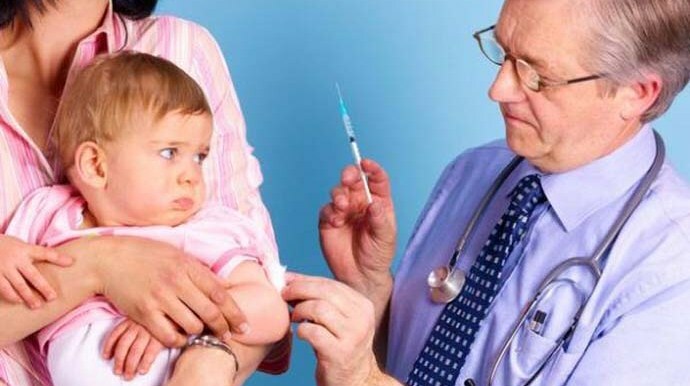 But a serious mistake by the CDC is discounting the personal observations of loving and caring parents by the hundreds of thousands as they observe the radical changes in their children immediately following a series of vaccinations. These are valid observations discounted a vast majority of the time because the parents have no formal medical background or chalked up to “the shots triggered an existing condition�?, What condition, are so many of us predisposed to this “Trigger�?, and if we are, is it in fact the vaccines pulling this trigger millions of times? Shouldn’t that in itself make the warning bells scream? Many unfortunate children in the USA have been awarded compensation by the Vaccine courts under the Vaccine Injury Claims Program, due to vaccines directly causing adverse/harmful effects. The amount awarded totals $2,704,762,675.55 between the years 1989 and 2013. Many of these awards are due to brain damage caused by certain vaccine components crossing the blood brain barrier, that ultimately leads to Autism. The government has conceded several cases, based solely on the merit of the evidence presented, and did not even fight the case indicating they are conceding that a direct link between the MMR and other vaccines received and Autism exists. The federal Vaccine Injury Compensation Program (VICP) has awarded at least 85 judgments for vaccine-induced autism, and there where many … many cases were justice was not seen. According to the government these people aren’t supposed to exist. We are being told over and over again that vaccines cannot cause Autism, vaccines have never caused autism, and vaccines never will cause autism. Except that according to the governments own program findings and huge number of (totaling billions) compensation awards … they do and they are! You can’t have it both ways !!! We are also getting scientific indications the Genetically Modified foods (GMO’s) may be responsible for exacerbating the Autism scourge. In October 2011, Dr. Huber gave a talk in Germany about the physiological, neurological, and behavioral symptoms of pigs, cows, and rats fed genetically modified (GM) feed. After his lecture, a physician and autism specialist approached him and said, “The symptoms you describe are exactly what we are finding in our autistic children.�? The animals in those studies were fed the same GM soy and corn eaten by children and adults in the US. Both crops are outfitted with bacterial genes that allow them to survive being sprayed with herbicide, which kills plants. As a result, higher residues of toxic weed killer end up inside our food. In addition, some GM corn varieties have an even more unsettling characteristic: their inserted genes produce an insect-killing poison called Bacillus thuringiensis (Bt) toxin in every cell—and in every bite. Although the biotech seed companies like Monsanto claim that their genetically modified organisms (GMOs) are harmless, that’s not what the independent scientists are finding. So it turns out that our gut and the bacteria it contain are a lucrative part of our body’s support system and if attacked or negated via GMO’s, may result in or trigger/exacerbate Autism. Hmmm … A disproportionate number of autistic children have digestive ailments, suggesting that it plays a significant role in the disease. A Harvard study in 2010, for example, stated that “Gastrointestinal disorders and associated symptoms are commonly reported.�? An earlier Harvard and Mass General Hospital study found that most autistic children whom they examined had some type of GI symptom, food allergy, or absorption problem. A 2006 study found that “A history of GI symptoms was elicited in 70% of children with ASD compared with 28% of children with typical development.�? The relationship between digestive health and autism is controversial. What is undeniable, however, is that numerous healthcare practitioners report greater success when they address the gastrointestinal disorder as part of their autism treatment protocol. For some, gastrointestinal intervention is the only intervention that is necessary. The answers are very difficult to come by, and more is hidden from us than we can even guess. The independent research proving the harm and connections between Vaccines, GMO’s and Autism is so easy for so many of us to see but we are severely handicapped by a government, legal and regulatory roadblock that is relentless. These two industries both enjoy immunity from prosecution, share most of their executive officers with the government (revolving door) and spend obscene amounts of cash lobbying our representatives, while millions of Americans and their families suffer this onslaught. Autism is still rising in this country and has a global growth rate of about 14%. But again we are number one and there is no end in sight. Soon there will be ten million afflicted and not to long after that twenty million, and then what? America is the most vaccinated, highest GMO consumption country … with an exploding increase in Autism, coincidence only reaches so far. 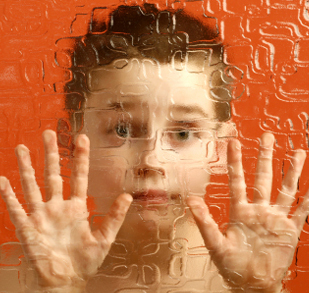 1 – Autism affects one in every 50 schoolchildren in the United States. 2 – Autism is the fastest growing disability in the United States and it is growing at 14% per year around the world. 3 – There is no blood test, no scan, and no image that can detect autism. Diagnosis relies on behavioral observation and screening. 4 – It is widely speculated that Albert Einstein, Isaac Newton, Andy Warhol, and even Bill Gates are on the autism spectrum. 5 – Autism is more common than childhood cancer, diabetes, and AIDS combined. 6 – One common myth is that individuals with autism are not affectionate. This is not true. Although, they may be oversensitive to touch, they can and do show affection. 7 – Another common myth is that individuals with autism are not interested in social interaction. While they often struggle with knowing how to make and keep friends, they do like people around and are capable of interacting socially, but may need to be explicitly taught the hidden social rules. 8 – Roughly half, or 49%, of children with autism attempt to elope from a safe environment, a rate nearly four times higher than their unaffected siblings. 9 – Between 2009 and 2011, accidental drowning accounted for 91% total U.S. deaths reported in children with autism subsequent to wandering. 10 – There is no known cure for autism. However, early diagnosis and early behavioral-based interventions can help children to better develop the communication and social skills needed to improve their functional abilities. Credits: Lisa Borges, Executive Director of The Doug Flutie, Jr., The National Autism Association, and Generation Rescue. Your life depends on whether you begin to take your assets out the bank and begin to purchase life sustaining supplies.You need to start this process, today, in accordance with the principles I laid out in a previous article. There was an obscure story which ran two years ago which is receiving scant attention and yet, it is the banking story of the decade. It is the number one banking story in human history. It is the story which will destroy America’s banking accounts. It is the story that spells the beginning of the end of America’s financial empire. This is the end of the America’s financial empire and NOBODY is talking about it. What is that story? First, the prerequisite background. The world’s economy has been dealt a fatal blow from which it cannot recover. No amount of budget, belt tightening will ever change this fact. We could literally be taxed at a 100% rate and the derivatives debt and the interest on this debt will continue to increase faster than the nations can pay the debt down. This was the single biggest financial event in the history of America. It was bigger than the 1929 stock market crash and it was bigger than the beginning of the bail outs in 2008, but it did not received the banner headlines that it should have received. What does this mean? It means that the Bank of America’s European derivatives are now going to be “insured�? by U.S. taxpayers and its two most important financial institutions, the Federal Reserve and the FDIC. What is even more distressing is that the Bank of America did not even seek or receive regulatory approval for this action. This action was simply acted upon on behalf of frightened counterparties. Under the Federal Bankruptcy Act of 2005, the counterparties derivatives debt receive “super priority�? when it comes to the disbursement of FDIC insurance payments to failed banks. Where do the rest of us stand in terms of reimbursement for a failed bank? We are in last place. In short, when your bank fails, your money is gone. Just how serious is the derivatives debt for the Bank of America? The Daily Bail reported that this was a “direct transfer of risk to the taxpayer done by the bank without approval by regulators and without public input . 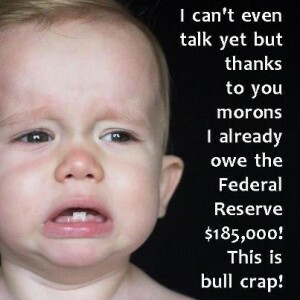 . . “ The estimated total of derivatives debt tied around the neck of Bank of America is a little under 80 trillion dollars and is growing exponentially because of the interest payments. And yet, there is another shocker, JP Morgan Chase is receiving the same undue government benefit with $79 trillion of its national derivatives debt guaranteed by the FDIC and Federal Reserve. What this means for you and me is that when Europe finally implodes and banks fail, U.S. taxpayers will hold the bag for trillions in insurance derivatives contracts, labeled as credit default swaps (CDS) which were sold by Bank of America and JP Morgan. This is when you will lose all control over your money and ultimately your life, if you are not prepared ahead of time. When the derivatives debt reaches the point where it causes our debt load to be so great that we cannot even service the interest, all financial institutions will fail. All governments will go into default. If the Federal Reserve engages in “print money out of thin air policy�? to cover the insurmountable debt, as they did with the bailouts in 2008, the resulting hyperinflation will make the German Weimar Republic seem like a prosperous economy. And do you think your money is safe because of the FDIC? Let me repeat, the FDIC, by law, must first pay the derivatives counterparties. Since the derivatives debt exceed the world’s total wealth by a fact of at least 16, do you now understand how and why you are not getting your money back when EVERY bank fails in the near future? Just the debt insurance that Bank of America and JP Morgan Chase have obtained from the American people totals nearly 160 trillion dollars. Before you accuse me of being paranoid, first explain how that debt can be paid? IT cannot be paid back, ever! However, the banksters are grasping for breath as they die on the vine. However, they will not go down without a fight. They are delaying the inevitable crash which will take them down with us. So, they are trying to keep their heads above water by stealing your bank accounts, your pensions and 401K’s. When your money is gone and your life is destroyed, the one solace we can take is that Wall Street will follow us right into the gates of hell as they will not survive either, and this is all by design. The purveyors of the central banking system are as evil as they come. They have set into motion the derivatives scheme so as to destroy all civilization so they can remake this planet in their own twisted image of their conceptualization of a Brave New World (order). The Bank of International Settlement and its henchmen (i.e. 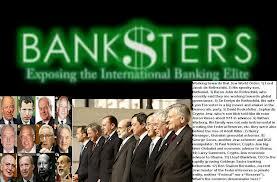 World Bank, IMF) and the United Nations want to collapse the existing order on this planet. Their assault upon humanity has begun. They are beginning the demise with collapsing the world’s financial empire. When economies crumble, national governments will fail and then the people will soon come to understand the term, the New World Order. We are not talking about the creation of just an evil world government. We are talking about the creation of a planetary structure in which most will not survive (see the Georgia Guidestones) and those that do will live in a hellish and biologically transformed slave planet. Without going into great detail here, I would refer you back to the first 30 minutes of the movie, Man of Steel, where the ideals of Krypton will soon be visited upon the Earth in which the inhabitants of this planet will be bred for specific purposes. This new empire will be Satan’s empire and it will be based on their perverted notion of transhumanism. Under the new transhumanism, you will be bred for servitude and your skill sets will be biologically programmed. In 1932, when Brave New World appeared, it was still science fiction. As my friends Patrick Wood and Barbara Peterson can attest to, that day is here. As I write these words we are entering into a Brave New World. This will be the topic of a future article. In the meantime, get your money out of the bank while you will can and purchase essentials for your survival, and begin taking your money out today. Buy the essential supplies with your existing bank account. If you delay, your ability to feed, water and protect yourself and your family will disappear as the banksters make off with all of it. You cannot stop what is coming, you can only prepare to try and survive for as long as you can. By Caryn Talty, B.S.Ed., M.A. Do GMO foods cause autism? 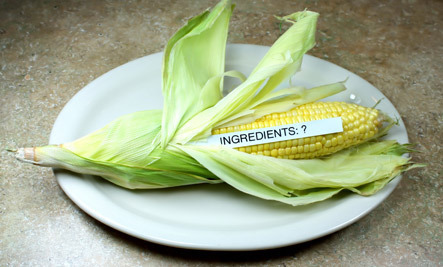 Genetically modified organisms are in many processed foods Americans eat. Independent scientists believe there is a GMO crops autism connection. Jeffrey M. Smith, Executive Director, Institute for Responsible Technology, and author of a free electronic autism booklet entitled, “Are Genetically Engineered Foods Promoting Autism?�? says the answer is a resounding yes. 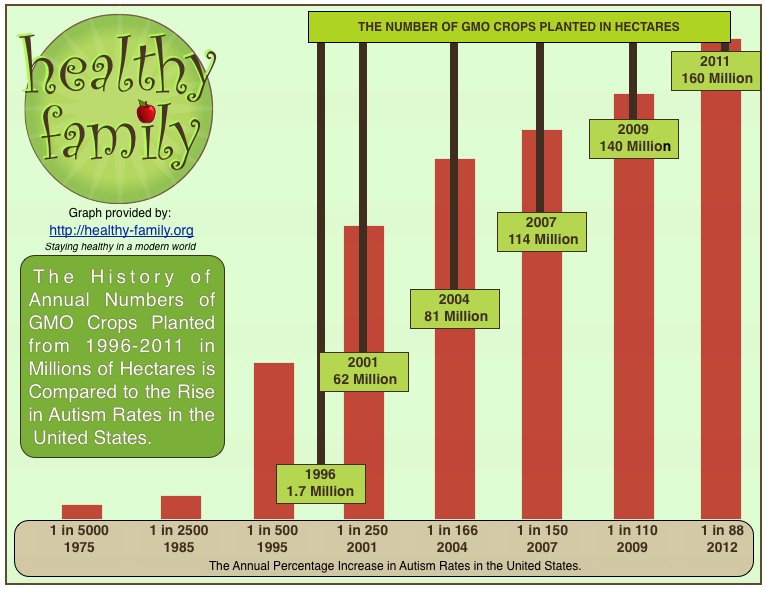 “It appears there is a direct correlation between GMOs and autism.�? stated Arden Anderson, DO, PhD, MPH, an agronomist, medical doctor, and one of the world’s top consultants on advanced soil and crop management. Anderson believes that GMO foods cause autism in addition to other catalysts. Don Huber, PhD, professor emeritus from Purdue University, is at the front of the GMO crops autism connection. If he has a hunch GMO foods cause autism people need to listen to him; Huber has spent the past 50 years in plant science. He has studied the epidemiology and control of soil borne plant pathogens with an emphasis on microbial ecology, cultural and biological controls, and physiology of host parasite relationships. Recently he was asked to give his position on whether or not GMO foods cause autism. Dr. Huber gave a talk in Germany in October 2011. He discussed the physiological, neurological, and behavioral symptoms of pigs, cows, and rats fed genetically modified feed. Afterward, a doctor specializing in autism spectrum disorders approached him and said, “The symptoms you describe are exactly what we are finding in our autistic children.�? Now Huber and others have begun to wonder if in fact GMO foods cause autism, at least in part. Why Might GMO Foods Cause Autism? What are They? The antisocial lab animals in GMO crop studies were fed the same GMO corn and GMO soy eaten by people in the U.S. Both crops contain bacterial genes which allow them to survive being sprayed with herbicide. A herbicide is a weed control product designed to kill plants. When used, higher residues of toxic weed killer end up inside our foods. In addition, some GMO corn crops have a more disturbing characteristic. GMO corn contains genes artificially inserted by scientists to produce an insect-killing poison called Bacillus thuringiensis (Bt) toxin. It is in every cell of the GMO corn crop—and in every bite your child consumes. Common sense tells us GM food has to be harmful. Additional study might prove GMO foods cause autism, but funding is tough. Monsanto, the largest biotech seed company in the United States and Canada claims their GMO crops are harmless. They are deeply rooted in the farming industry in the U.S., and they’ve lobbied Congress for laws to protect their agri seed monopoly. But we are learning that their safety claims are false. Citizens need to get behind the scientists that want to expose the truth. We also need to actively boycott GMO foods. Where’s The Proof GMO Foods Cause Autism? There is a marked correlation between increases in autism and increases in the amount of GMO foods entering our food supply, causing experts to question if digestive problems from eating GMO foods cause autism. Some scientists think they see GMO foods cause autism like symptoms in lab animals. GMO fed animals and their offspring show marked differences in behavior to animals fed non-GMO feed. Some scientists say their antisocial behavior is similar to symptoms children diagnosed with autism exhibit. Scientists investigating this phenomena are also looking at long term correlations and statistical data worldwide to determine if GMO foods cause autism. For example, some independent scientists are pointing to the dramatic increase in autism rates in the U.S. since the early 1990s, when GMO foods first hit the store shelves. Although the visualization is alarming, we also have to make sure the connection is truly there to prove GMO foods cause autism. Still not convinced there’s a possibility GMO foods cause autism? You are not alone. Eric Fombonne warns, “The (autism) rates were flat through the late ’80s, and then suddenly a massive rise happened at same time (in the 1990s).�? Fombonne is a professor of psychiatry at McGill University in Montreal. He has led autism epidemiological studies in a half-dozen countries. 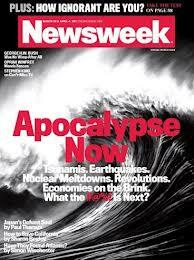 Fombonne warns, “The rise is probably not due to a mysterious global environmental exposure. It’s more likely to reflect new concepts of autism worldwide.�? He claims better awareness of the condition has caused the rise in diagnoses. He also says cultural differences play a role in whether or not a child with autism will be diagnosed. Does this really disprove the claim that GMO foods cause autism? Autism prevalence is not nearly at such alarming rates in Europe as it is in the U.S., a culture that does not place as much of stigma on diagnosis as other parts of the world do. A handful of small studies in France, for example, have found rates around 5 cases per 10,000 people. One study in Germany calculated it to be 1.9, and another in Portugal 16.7. Conversely, The European Union (EU) has possibly the most stringent GMO regulations in the world. What are autism rates in the U.S.? The latest study published by Reuters has autism rates at a new high for U.S. children. It is now 1 in 88! This gives credence to the theory that GMO foods cause autism rates to rise in certain populations. About 70% of children diagnosed with autism are found to have digestive disorders. Symptoms include inflammation, intestinal permeability, and imbalances in the intestinal flora (bacterial makeup). These same symptoms also appear in animals fed GMO feed. If GMO foods cause an imbalance in gut flora and this leads to neurological problems, then it is likely GMO foods cause autism, too. One of the earliest indications that GMOs might cause problems in the small intestine was a 1999 study published in the Lancet entitled: “Effect of diets containing genetically modified potatoes expressing Galanthus nivalis lectin on rat small intestine.�? After rats were fed GMO potatoes for 10 days, their stomach lining cells and intestines were significantly altered. In Smith’s white paper about the GMO crops autism connection he writes, “When California pediatrician Michelle Perro reviewed the study in 2011 and saw the photos of the increased cellular growth and abnormal architecture, she thought to herself, “Uh oh – we’ve got some problems.�? Based on her experience treating children for 30 years, she said, “You can extrapolate that the same thing may be occurring in babies clinically. They are not digesting their food. They are malabsorbing…And I’m seeing that commonly now.�? Smith reports that according to Dr. Perro, digestive issues are skyrocketing among her patients. More parents are finding they have a baby allergic to all formulas on the market and they are starting to question GMO corn and soy as culprits. This is a trend that unfortunately needs to stop. Some scientists who work with GMO fed animals are seeing similar behavioral changes in their subjects as pediatricians might notice in their patients who develop autism. Is this a coincidence, or the result of eating GMO foods that damage the gastrointestinal tract? The connection is tenuous and more study is needed, but a growing number of professionals are demanding answers. When Dr. Huber visited an ongoing research project using rats he noticed that animals fed non-GMO feed were passive and behaved as pets. Dr. Huber said the behaviors of the GMO fed rats was in stark contrast. “You can hardly catch the rats that have received the GMO feed for a month and a half to two months. They go off by themselves. They’re irritated. (They) crawl up the cage.�? Then he added after a long pause, “[They] don’t get along with each other.�? I believe the causes of autism are multifaceted. It was once explained to me through the analogy of the bucket theory. Everyone is exposed to toxins. Environmental and genetic factors create variable limits for exposure. Some children have bigger buckets than others, and some are exposed to more toxins, viruses, bacteria, and fungi. When a child’s bucket is filled and begins to overflow we see the result in a diseased state. Many people blame vaccines. Some believe it’s genetic. I personally believe there are a combination of factors. But the evidence against GMO foods is overwhelming, as far as I’m concerned. 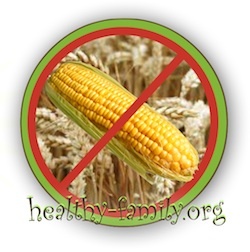 As for me and my family, we are going to avoid GMO crops. The link between autism and GMO food is just a theory right now, but the circumstantial evidence is strong. Further study will likely confirm the initial hunch of a handful of independent scientists. I don’t think I will wait until the verdict comes in to avoid GMO foods, especially genetically modified corn. I hope you feel the same way too. Want to know more about me? Read our personal story of healing called: Scientists Discover Celiac Disease can be the Root Cause of Most Neurological Disorders. According to Dr. Huber, “When you look at the intestine on those pigs fed the GMO feed, the lining is deteriorated and the critical microbial balance is drastically changed.�? 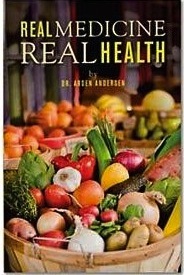 Dr. Arden Anderson, a staunch opponent of GMO crops, has written a book to help patients regain health through diet. Dr. Anderson tells his patients, “Avoid genetically engineered foods like the plague. In my opinion, they are the plague of the millennium, worse than any plague before in human history.�? Dr. Anderson believes independent scientific studies on GMO crops all point to serious inflammatory responses in people. He says genetically engineered food can be tied to lower birth weights, digestive disorders, infertility issues, autoimmune disease, and premature death. Corn, soy, canola, and cotton are the most common genetically modified crops in our food supply. Consumers need to demand labeling of GMO foods. Dr. Anderson says, “GMO’s are not going to save the world, feed the starving, raise yields, reduce pesticide use, avoid droughts, circumvent disease and insects. That is all the ‘Hollywood Con.’ It is business, pure and simple. Wild animals, given the choice, will avoid genetically engineered crops until they are near starving.�? For more complete information please read Smith’s white paper on the subject: Are Genetically Engineered Foods Promoting Autism? It is free to download as a pdf. TLB recommends you visit: www.healthy-family.org for more great articles and information. While Discipline in schools has been an ongoing problem, children with behavioral problems are now being locked away in padded rooms and/or restrained and administered electric shock treatments (yes I actually said that, see video) within our public school system. A major issue at hand is the many Autistic children in the education system today just by the sheer numbers of those afflicted. The predominant issue presented here is in the dealings with children with behavioral problems (again something commonly associated with children afflicted with Autism). Do shock treatments or padded isolation rooms help in correcting behavioral problems? Just ask the children themselves to come to the realization that it accomplishes just the opposite! This is what our current education system is allowing, and we who put our trust in this system of education are relatively unaware of what is happening to our children. So if armed with this information … Is this a system we should now trust and support, or rail against and force changes to? Please watch this video !!! These are the people we place our trust in, to care for and educate our children. We trust them to prepare our children for social interaction with the outside world. The first point of contention from this video is that a person is not allowed to express themselves, nor be themselves. Granted constant disruption cannot be tolerated in a scholastic environment, but as a child or teen (especially an autistic or special needs child), there is a driving need for expression of their feelings. But the use of Authoritarian methods, such as padded rooms and shock therapy, will only exacerbate the issue at hand. The simple understanding of a person with behavioral problems is not the issue, it is how they as human beings are dealt with. The methods being used are more than any person or child should be forced to deal with! We are all human beings, no matter who we are, and being treated like animals harkens more to the treatment of a prisoner of war in an active war zone or a psy-op, than the disciplining of an adolescent. All children are influenced by what they see, are taught and what has been done to them by others. Their so-called environment shapes and molds them and their future behavior and actions. Allowing such inhuman actions to be perpetrated within so-called First World nations says we are no more humane than the cave dwellers who beat each other for food on the ground, and our children will carry this forward in life. 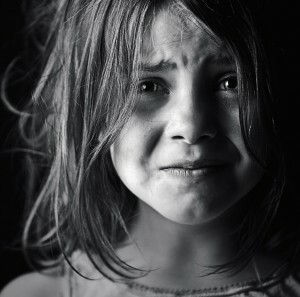 Our children must be protected from threats and actions of abuse, whether it be verbal, physical, or sexual – SO, please tell me why We The People are allowing our children to be abused in the name of education, and why the Federal Government is allowing and fomenting what IS in reality Child Abuse and Mind Control to alleviate perceived behavioral issues in our children? Armed with this knowledge would you allow your child to participate, or continue to participate in this education system, autistic or not? 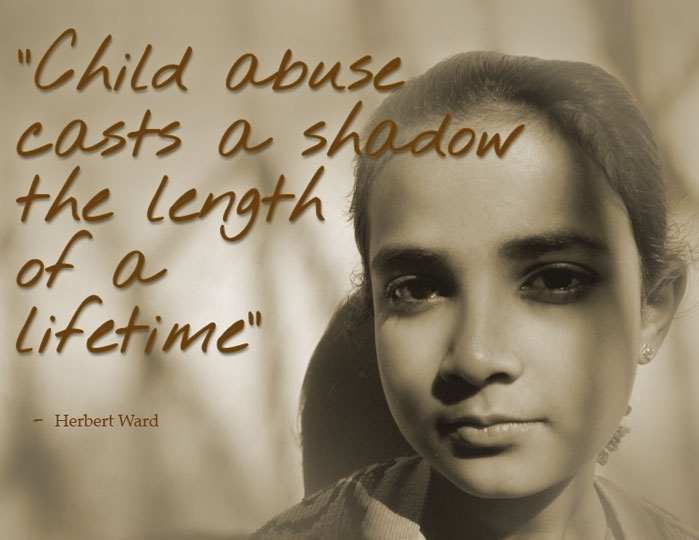 We are all aware that if a parent put their child in a box or restrained them and administered electric shocks as a means of punishment, they would be charged with child abuse and sent to prison or at a minimum lose their children to the care of the state. BUT at the same time, our system of education, both national and state, allows children to be treated in this fashion. Why is this legal, or is it a privilege only reserved for the educators of our children and the state? The burgeoning question really lies with any parent – Do you in fact approve of this barbaric treatment, and if not why would you allow this in your State or anywhere in this country? Our website Child Protection Online is down and being totally revamped but will be available soon.